Increase nutrient availability, enhance fertilizer performance and improve soil health. With Actagro Organic Acids, growers can do all three. The proprietary, proven technology enhances the movement of nutrients into and through the plant, helping to boost yield potential, and increases beneficial microbial activity in the soil. Actagro® manufactures plant nutrients reacted with stable humus components that are extremely efficient and highly plant responsive. Use seasonally through flexible foliar or soil application to recondition fields to become more productive and operations more profitable. 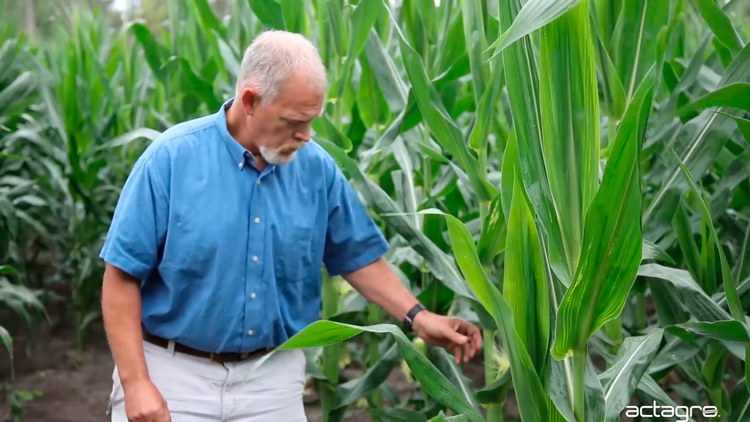 Improving soil health is important to Ike Morein, who has been using Actagro Organic Acids to unlock the potential within the soil around his family farm in Ville Platte, Louisiana. An effective primary plant nutrient with Actagro Organic Acids that’s high in potassium and phosphate, designed for safe foliar and seed application. A foliar nutrient with Actagro Organic Acids that optimizes conditions for plant growth when applied at specific growth times. Ideal for growers interested in higher CEC, water retention, fertilizer enhancement and overall improved soil biology and plant health for increased performance and yield. ©2017 Actagro. Important: Always read and follow label instructions. Some products may not be available for sale or use in all states or counties. Please check with your local Actagro representative to ensure availability. Actagro®, Actagro Organic Acids®, Liquid Humus®, Phocon®, Structure®, and the Actagro logo are trademarks of Actagro, LLC.